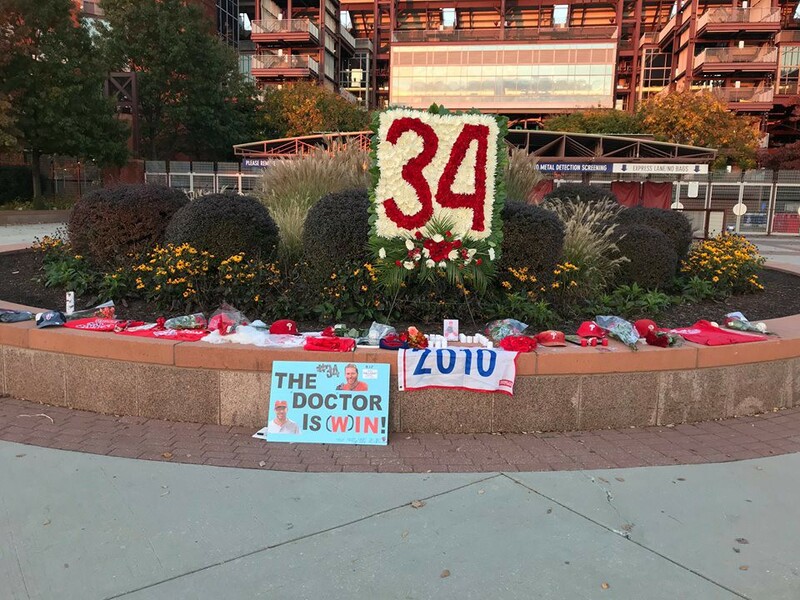 The Philadelphia Phillies family and their fans received some shocking news last week — former ace pitcher Roy Halladay, 40, died in a plane crash in the Gulf of Mexico on Nov. 7. The pitcher, who stepped away from baseball four years ago, was piloting his single-engine aircraft. Halladay split his 16 seasons between the Toronto Blue Jays and Phillies, compiling a 203–105 career mark with a 3.38 earned run average. The eight time All-Star tossed a perfect game for the Phillies during the 2010 season and followed it up by tossing a no-hitter in the postseason. He is one of two pitchers in MLB history to toss a no-no in the playoffs, with the other one being former New York Yankee Don Larsen, who accomplished the feat in the 1956 World Series. Former catcher Carlos Ruiz also was shocked by the news. The Halladay family released a statement about their beloved husband and father. The Halladay family held a celebration of life for Roy Halladay at Spectrum Field in Clearwater, Florida, yesterday afternoon. In lieu of flowers, the Halladay family kindly requests that contributions be made to: Halladay Family Foundation c/o The Giving Back Fund, 5757 W. Century Blvd., Suite 410, Los Angeles, California, 90045. It supports organizations that are tied to two causes that are most meaningful to the Halladay family — youth sports programs and animal welfare. Beneficiaries of foundation funding will include, but is not limited to, organizations that provide the opportunity for young athletes to develop to their highest potential, with particular emphasis on sportsmanship and building greater self-esteem. Additionally, organizations that help to improve the quality of life for animals through rescue, adoption and humane treatment will be eligible to receive funding.